Entrepreneur and investor, Cyril is a General Partner at SOSV and the founder of HAX, the first full-stack startup accelerator for hardware ventures. Cyril has over a decade experience in Asian markets, and invested in hundreds of companies worldwide. 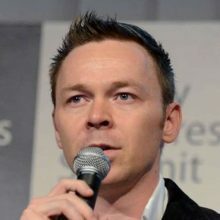 A guest writer on Techcrunch, Cyril is a popular speaker in numerous conferences and featured in media such as The New York Times, The Economist, WIRED and more. He lives in the Bay area.